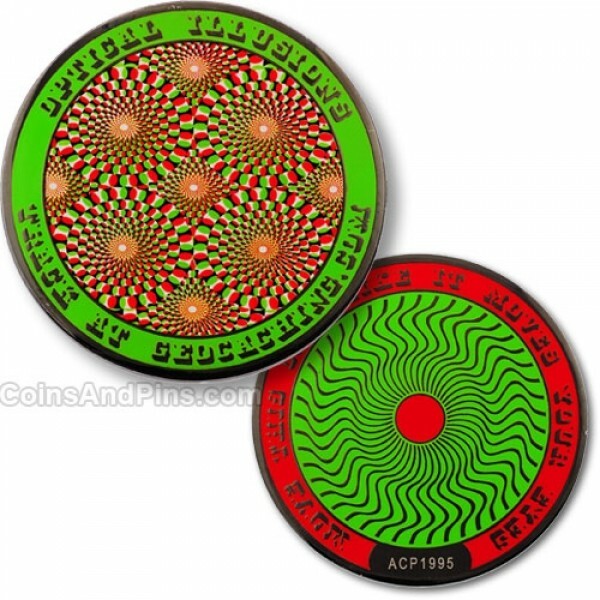 This coin will go crazy on your eyes. The front has a detailed design that makes you think the circles are moving when you move eyes around. The back has lines that don't seem to stop wiggling around. The Optical Illusions geocoin is trackable, so you can move this coin like it moves your eyes. The illusion designs of this coin were created by Professor Kitaoka and licensed for use on this coin.